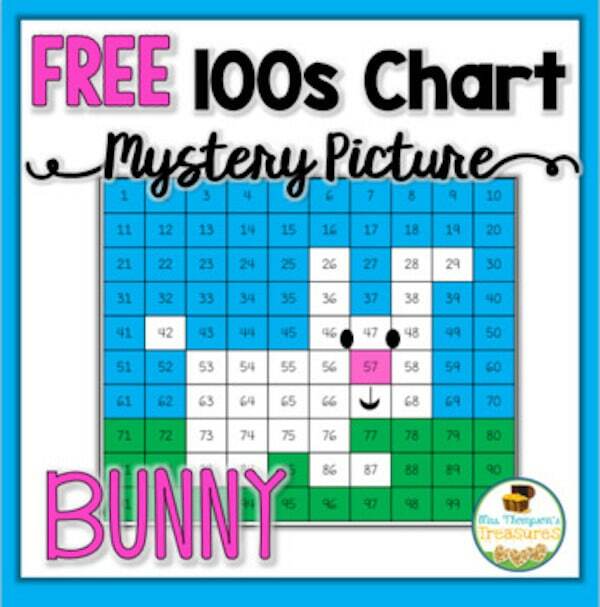 I don’t know about you, but I can always find uses for a hundreds chart printable in my classroom. 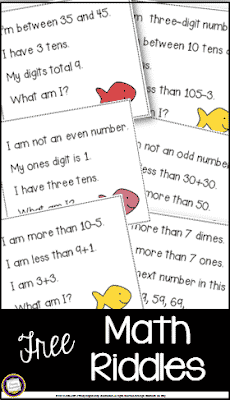 You can play games with them, play math detective for the missing numbers, or even use them for skip counting. One of my favorite activities in third grade, was so simple, yet so eye-opening for students. I then encouraged small groups to look for other patterns they might not notice right away. As we came back together as a class, someone was always quick to point out that the multiples of 9 “flipped” while looking at them on the grid. For example, 18 and 81. 36 and 63. 45 and 54. The oooohs and ahhs were thrilling. A huge part of number sense and understanding place value comes from being able to pick out those patterns. Hundreds Chart Puzzles: Finding missing numbers is definitely a bit more challenging for students. These worksheets will allow for extra practice. Print and go! Number Lines and Hundreds Charts! : This pack of added practice for older students reinforces finding missing umbers within a number line and/or number chart. Hundred Board Activities: This fun set includes pre-filled hundreds charts, blank charts, and some with missing numbers to finish. Hundred Chart House: Keep the practice coming in the house! Missing Numbers: With a fun seasonal border, these practice worksheets are great for a quick winter time filler. Hundreds Chart Puzzle: What a fun “gift” for students before they head out on break. Placed in a baggie and a cute gift tag tied to the top, it would make for a fun educational game when they are looking for something to do at home. Free Gingerbread Man Activity Pack: A set of 8 math activities for your students all in one handy themed pack. Extend Your Pocket Hundred Chart: Need more numbers for your pocket chart, but they only go to 100? Download this handy set that goes all the way up to 120. Candy Cane Hundred Chart Game: Cute for a December activity. Could even use for a rounding activity. Number Riddles for Spiraled Review: Math riddles for grades 4 and 5! 5 Games to Play With a 100s Chart: These are great for partner or small group work! 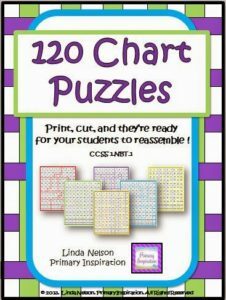 120 Chart Cut-Apart Puzzles: I love these for little students who have gotten to the point of recognizing and counting to 120! 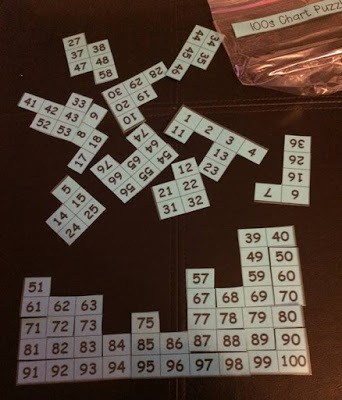 They now can put together these hundreds chart puzzles for added practice. More fun? Blow them up to poster size and use as floor puzzles! 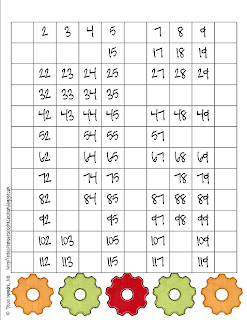 Hundreds Chart: Need a simple 100s chart to use at school or send home as a resource? We’ve got you covered! Riddles for the 120 Chart: These are ADORABLE! Plus, kids love riddles. Riddles + math = extraordinary. Hundred Chart Games for Apple Season: So adorable for fall. Includes the game pieces, spinners, and boards. Uncle Wolfie and The 100th Day: Math and reading integration is the best! One of our very talented authors has created a ton of mystery pictures for most every holiday. Make sure to check them all out! Valentine’s Day Hundreds Chart Picture: Need something fun for a Valentines center in February? Stop by and grab this mystery picture. Hundreds Chart Pumpkin Picture: This little round pumpkin is adorable! 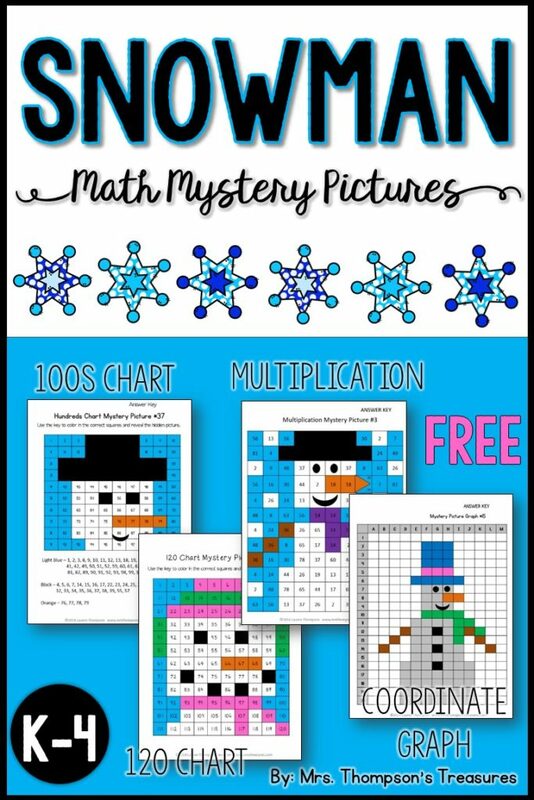 Snowman Math Free Mystery Pictures: So many math options in that pack. Rudolph Hundreds Chart Mystery Picture: Another for the season of giving. 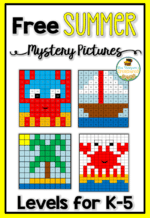 Free Summer Mystery Pictures Math: For levels K-5, there is something in this set for most everyone in elementary. 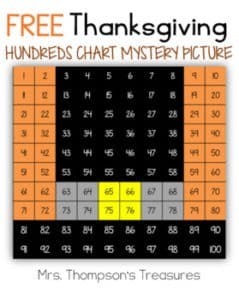 Free Frankenstein Hundreds Chart Mystery Picture: Have a “monster” of a good time filling in this fall favorite. Free Leprechaun Hat Mystery Picture: Better fill it in before the leprechaun runs away! Free Easter Math: What a cute bunny! Students will enjoy this activity for seatwork in the morning when arriving and waiting for the start of class. Hundreds Chart Winter Penguin: A little tuxedo action for this sharp-dressed math friend. FREE Pilgrim Hat Hundreds Chart Hidden Picture: Great for fall seasonal lesson plans. Thanksgiving Math Activity: More options for the math in November! As always, if you choose to grab a freebie or two or twenty from our authors, all we ask is that you leave a kind comment below, follow their stores, leave a rating, or follow on social media. Everyone likes to know their work is appreciated and our authors are no exception. Thanks for all you do teachers and enjoy the freebies from colleagues who have given up their own time and money to share their talents with you.